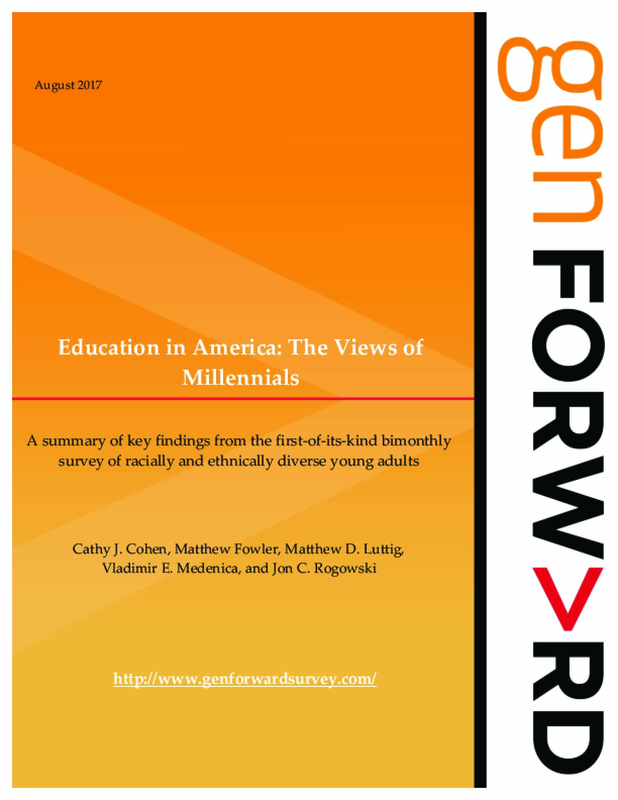 This GenForward report presents the views of young adults between the ages of 18 and 34 on education in the United States. We asked our nationally representative and diverse sample of young adults to provide their evaluations of their own school system, their thoughts about what makes a good school, their preferences regarding proposals for reforming education, their perceptions about issues of equity in schools, and their beliefs about the promise and challenges of higher education in America today. Who better to assess the strengths and weaknesses of our educational systems than those most proximate to the American educational experience? Many Millennials recently graduated from high school, while some are currently pursuing higher educational opportunities and/or navigating educational systems for their children. Copyright 2017 by Genforward. All rights reserved.